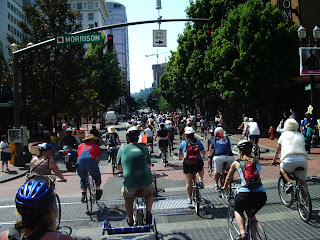 I was so surprised to see SW Broadway carrying 16 people on bicycles during a single cycle this past week (it was February and pretty cold) that I tweeted a picture that was picked up by Bikeportland.org and he made the case that the street needs a better bikeway. 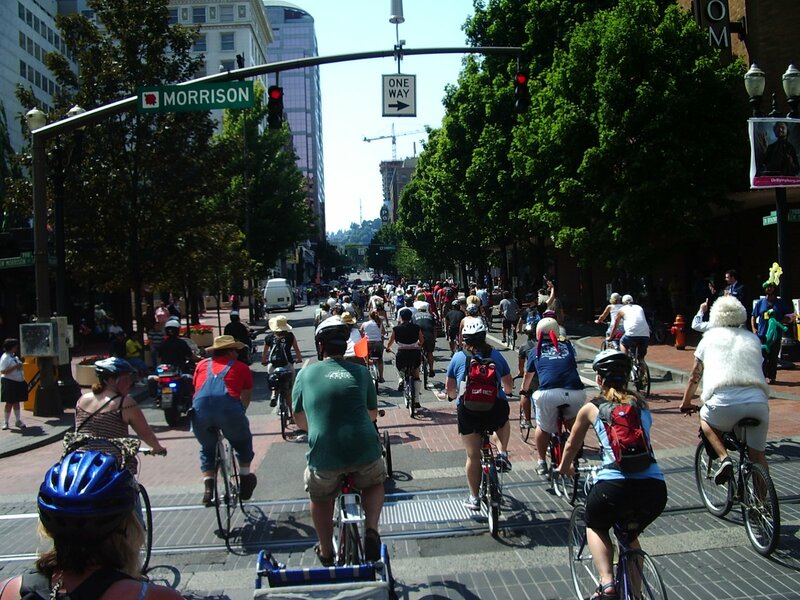 Here's a shot from the 2008 Tour de Fat parade that has SW Broadway with a critical mass of riders on a Sunday morning enjoying the warm August morning trip from the Waterfront to the Pearl District and back again. New Belgium Brewing knows how to throw a fun summer party, it would be great if a local brewer would take on this sort of model to raise money for the Bicycle Transportation Alliance!